The Folio Society was founded in 1947 by the publisher, Charles Ede (1921-2002). With its establishment, Ede ‘restored an element of elegance to publishing after the pinched austerity’ of WWII. The published volumes were a means by which anyone could lay their hands on ‘great literature’. Many of the volumes are illustrated by famous artists and most come beautifully bound with their own slipcase. Professor Colin Gibson’s Folio Society Collection was a working collection, used for teaching and reference. 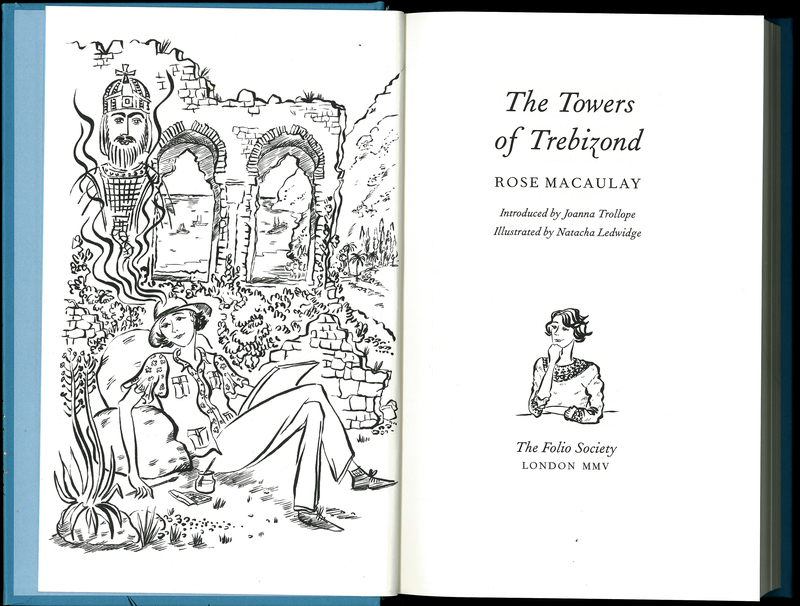 Here is Rose Macaulay's The Towers of Trebizond. Rose Macaulay, “The Towers of Trebizond,” ourheritage.ac.nz | OUR Heritage, accessed April 20, 2019, http://ourheritage.ac.nz/items/show/11218.